Hello friends and happy March! I'm so excited for what this new month will bring! So without further adieu, let's get into the March Currently! Shark Tank is one of my favorite shows of all time! I got hooked on it in college, and love it! I got my nails all ready for spring with this new mani! Oh come on spring! I know you hear me! Bring some warm weather and stop this snow madness! I'm ready for you! My bedroom is ULTIMATE hodge podge! I sold all of my childhood furniture when I went off to college since my family was moving, so when I came home, I didn't have anything! I have a bed without a headboard, a rug from my parent's old room, a dresser (that's WAY too small btw), and more craziness! I just want to redo it! Okay, the wedding (my brother's) is in less than three months. What?! 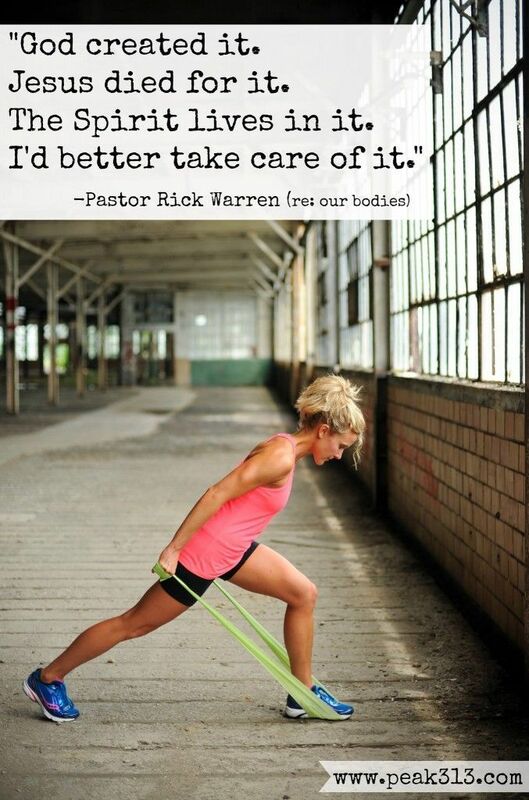 I need to get on a bandwagon to the gym daily and get myself healthy (lose some lbs)! It's not going to be easy, but it'll be worth it! And for the final question, YOU have to figure it out! I gave my answer to a question, but your job is to figure out the question! This is a fun twist this month, that I hope you'll play along with! 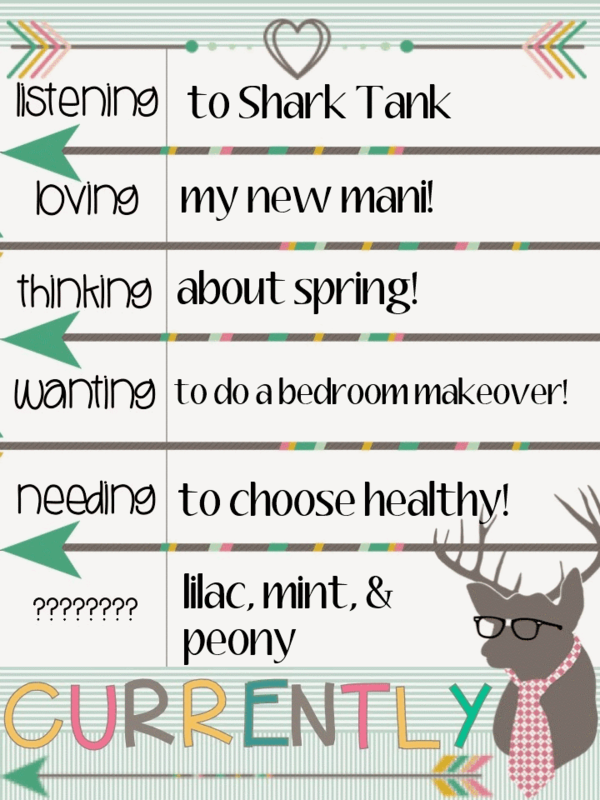 And make sure you go check out Farley and the Currently link-up! She is awesome! Alright! So leave me a comment down below guessing my question to my last answer, and I'll reveal the question in my next post (and in a reply comment to you if you get it right!!). Have a great weekend! Needing to choose healthy ... why is it something that should be so common sense is so hard? Good luck with the redo. I am quite pleased with my Craigslist and resale shop finds. For being from all over they look awesome together. Also I love all of your blog ... topics, I guess. At the top. Teaching and travel and craftiness are favorites! I like to look at recipes, too, even though I can't replicate them to save my life.